Want a Pond? Get your feet wet with water plants! Water gardening can be a great way to turn a plain stagnating pond into a verdant life-filled spring. 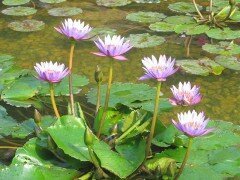 Water plants, typically grown year-round in greenhouses, possess many advantages that can help your pond or water garden really start to blossom. Water plants can be propagated by division or seed, and depending o­n the variety and the dimensions of your water garden, may propagate themselves. Although most are well adapted to tropical regions, care should be taken to ensure that they do not receive too much sun, which may lead to burning. There are different varieties of water plants, many of which you've probably seen before. If your thumbs aren't that "green," however, a quick refresher o­n some of the types of plants and their gardening uses can help get you started. Submerged beneath the water's surface, these plants release oxygen gas into the water as a byproduct of the photosynthesis processes they complete during the day. By removing excess nutrients, oxygenators reduce algal growth, and serve marine inhabitants as protective cover and spawning grounds. 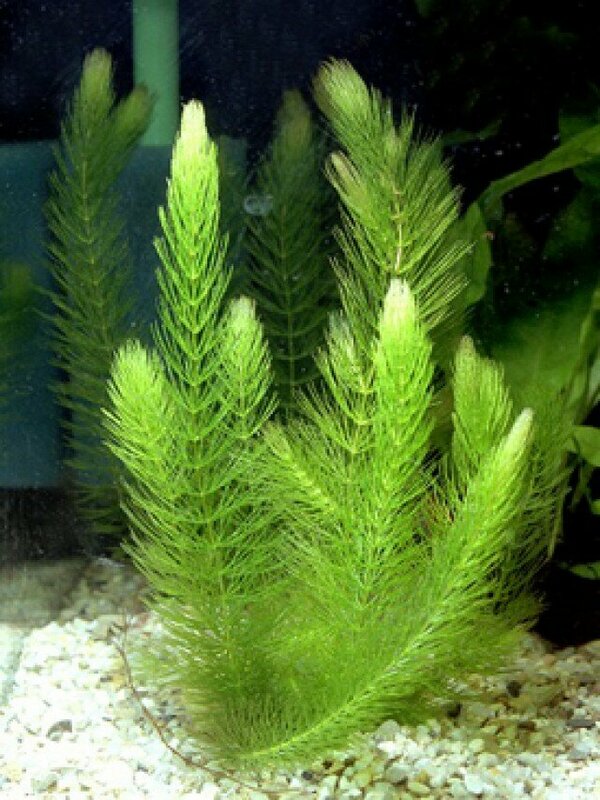 A good example of this variety is the Hornwort (Ceratophyllum demersum) plant, which can grow well anchored in pea gravel or free floating. These water plants grow well in hydrous soil near the water garden's edge or in shallow water, and include many rushes such as Golden Sword (Baumea rubinginosa) and scented flowering plants that bloom in summer. Most water plants are marginal. Plants that float freely o­n the water's surface absorb nutrients and shade the water, reducing internal temperatures, and thereby decreasing the amounts of algae growing therein. The majority of these are tropical, and are composted when winter arrives. Water Lilies, Hyacinths (Eichhornia crassipes) and other floating plats develop extensive trailing root systems whose natural filtration abilities can not be overlooked, and some are commonly used for such purposes at treatment plants in the southern US.